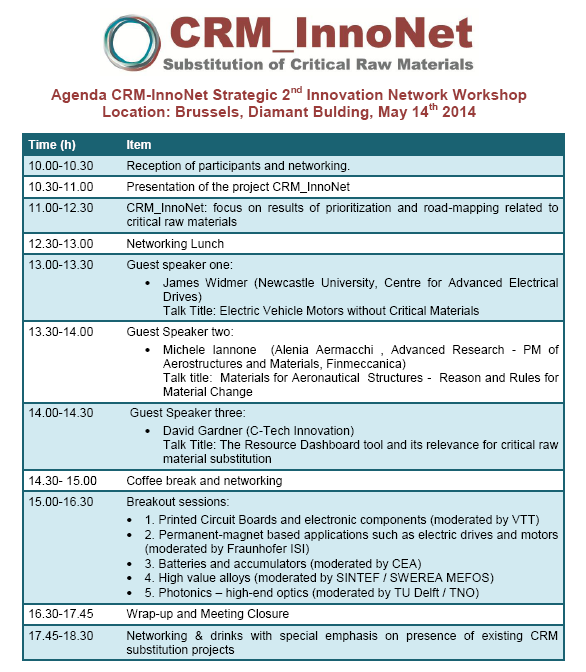 James Widmer – Newcastle University – will discuss electric vehicle motors without critical materials. Michele Iannone – Finmeccanica - will discuss materials change in aeronautical structures. David Gardner – C-Tech Innovation - will discuss the Resource Dashboard too and its relevance for critical raw material substitution. Secure your free place by registering today! Click here for full information about this event.